Mission: To provide a world-class training environment for elite level wrestlers to prepare to represent their country on the World and Olympic stage. 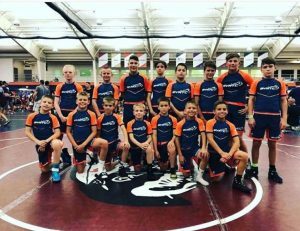 Please click on the link below to add your information and register for the McDonogh Duals Team! This is a very tough event! We welcome anyone who wants to help us bring the most competitive team! Buffalo Valley Regional Training Center is a non-profit, 501(c)(3) tax exempt organization. Copyright © 2019 Buffalo Valley Regional Training Center | Site by: Projects by Peggy, Inc.